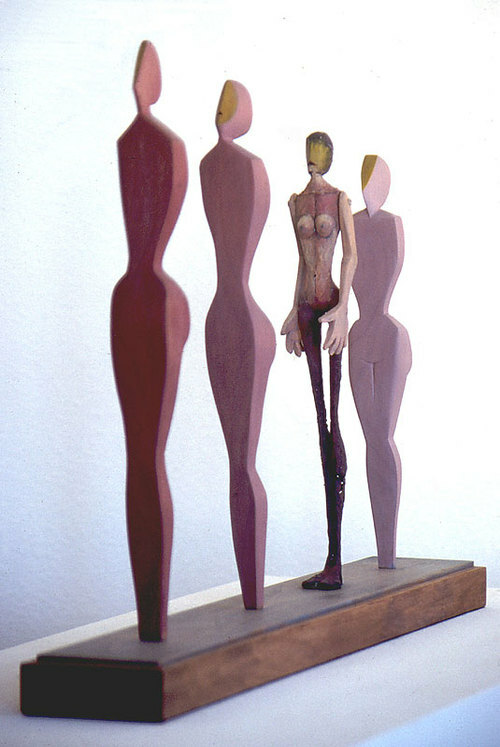 Painted bronze and wood, 1991, 22" x 4" x 17". Everything - ourselves, our ideas, our world - is part of a continuum. We never stand alone, always there are those who came before and those who will come after.